At the end of this month the American Library Association will convene in Seattle, Washington for our Midwinter Meeting, January 25-29. It’s that beginning of the year time for ALSC members to recharge, revitalize and make valuable contributions to the advancement of our profession as we work together to create a better future for children through libraries. We’ll meet old friends from across the country and make new friends as we share learning experiences. It’s an opportunity to network, to share your story and to learn many new stories. Highlighted here are three ALSC opportunities for connecting and learning. And, even if you can’t be at Midwinter this year, read on to learn how you can participate with two of the events below from your own virtual location. On Saturday morning, January 26 from 8:30-11:30 am join ALSC colleagues in the Grand Hyatt Seattle – Leones, II & III for Leadership & ALSC. This event is an opportunity to learn about new developments in the profession enabling attendees to bring this knowledge back to their libraries. ALSC members are encouraged to attend and it is open to all Midwinter attendees. Time will be set aside at the end for ALSC committee chairs to meet with their Priority Group Consultants. Guest speaker for Leadership & ALSC is Sue Polanka, Head of Reference/Instruction at Wright State University Libraries and Editor of ALA Editions, No Shelf Required: Ebooks in Libraries, 2010. Polanka also moderates the popular eBook blog, No Shelf Required®. Description: A variety of children’s books are going digital, either as e-book, app, audio book, or interactive game. Many question the validity of e-books and their role in developing young readers. Libraries struggle with purchasing these materials due to cost, availability, licensing, and the digital divide. During this session we will examine the opportunities and challenges of implementing digital content into our libraries and classrooms. Studies related to eBooks, literacy, reading comprehension, and student success will be featured, bringing to light the pros and cons of employing digital content with children. This event also includes ALSC updates, news from the Washington Office, and the announcement of the 2013 ALSC Distinguished Service Award winner. Do you have a favorite? The days are counting down! On Monday morning, January 28 at 8:00 am PT in the Washington State Convention Center, Ballroom 6B the 2013 ALA Youth Media Awards will be announced. Approximately 12,500 webcast viewers will join more than 1,300 onsite audience members to hear the news first hand. Virtual seats are available on a first-come, first served basis. If you can’t join the webcast, follow along in real-time by logging on to the ALA Youth Media Awards Facebook page, or via Twitter by following hashtag #ALAyma. For more information visit the ALA Youth Media Awards page. The site includes twelve video presentations titled ALA Youth Media Awards in Motion which are clips from past award announcement days. The ALSC & YALSA Joint Membership Reception at the Midwinter Meeting is a wonderful opportunity to wind down after a busy four days in Seattle. The reception is set for Monday evening, January 28 from 6:00-7:30 pm in the Circus Room of the Sheraton Seattle Hotel. This event provides time for ALSC and YALSA colleagues and friends to network, have a bite to eat and share a drink as we close out our meetings and prepare to return to families, homes and libraries. It is indeed an opportunity to have fun while working, provides a chance to communicate the value of what we do, and allows us to practice relationship building. Hope to see you there! 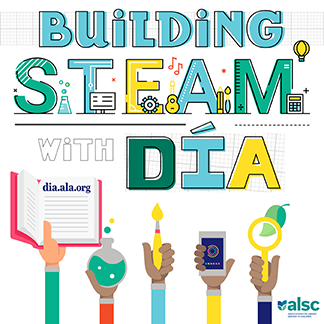 For other ALSC events and meetings scheduled during ALA Midwinter, please check out our handy meeting schedule posted at http://www.ala.org/alsc/confevents/alscmidwinter. You’ll find other events to connect you to the ALSC community including ALSC Speed Networking on Friday evening, scheduled time to listen to the discussions of the Notable Children’s Books Committee. One of my favorite quotes about the turning of a new year is from Edith Lovely Pierce: “We open the book. Its pages are blank. We are going to put words on them ourselves. The book is called Opportunity and its first page is New Year’s Day.” A similar quote on Facebook during these early days of January noted that we all begin the year with a blank book of 365 pages, I think this year that I will begin to think of each day as a clean, fresh page in my 2013 book that is filled with opportunities and includes ALA Midwinter on the pages of January 25-29. If ALA Midwinter isn’t part of your book this year, maybe you can attend the ALA Annual Conference in Chicago where ALSC will celebrate the 75th Anniversary of the Caldecott on pages June 27-July 2. Best wishes for a happy and healthy 2013! Today’s blogger is ALSC President, Carolyn Brodie. 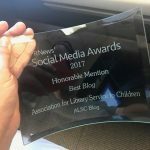 If you’d like to write a guest post for the ALSC Blog, please contact Mary Voors, ALSC Blog manager, at alscblog@gmail.com. Final Week to Sign Up for Winter 2013 Online Courses!